I didn’t have any master plans to write this particular post on Valentine’s Day. To tell you the truth, I’ve never been much of a fan of the holiday. As a young girl, Valentine card rejections and those gross chalky hearts made a cynic out of me. Some might actually see this as a cruel story to tell on a romantic holiday, but it depends on how strong your belief in love is. For some, love is about happy endings. For others, the true romantics, they know that real love never ends. 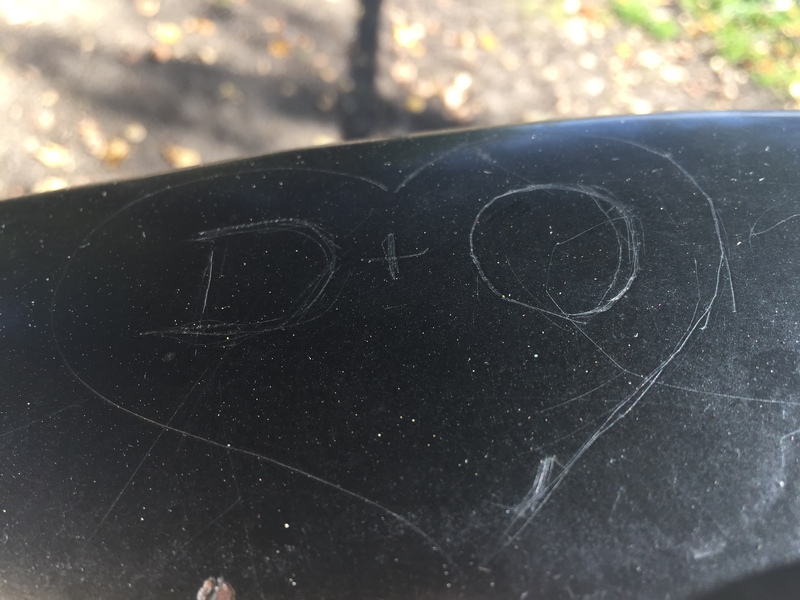 The story about the lovers bench began last year in May, when I wrote The Bench Where Lovers Had Been. This spot with the bench is my favorite place to rest after a long hike. The view of Portland is absolutely stunning. The whole city—slender streets, busy cars, shiny buildings, expansive bridges—is surrounded by sleepy volcanoes and undulating mountains. On a clear day your eyes hardly know what to do with themselves. It’s that gorgeous. 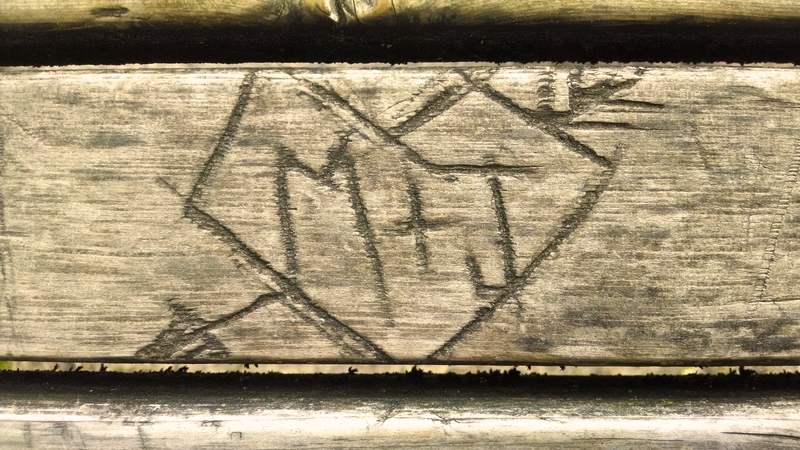 And the bench, worn by Pacific Northwest rain for many years, was covered in love carvings. 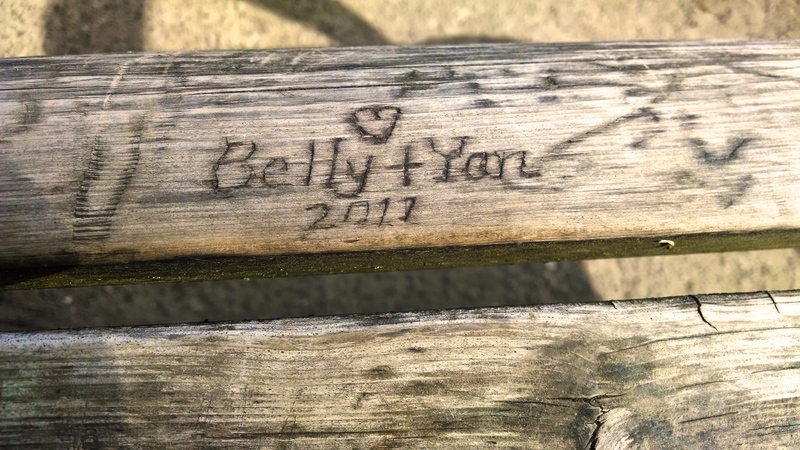 I used to touch these carvings, imagining stories of the lovers who decided to boldly tattoo their initials and hearts into the wood in this public place. Perhaps these couples were still together, or perhaps they had grown apart, but the lovers bench allowed their tender moment to live on. Until one October day, I walked over to the bench and my heart fell. There were no more professions of love embedded in the wood. The wood was blemish-free, devoid of the beautiful scars which told so many stories. When I wrote The Lovers Bench Is Gone, many of you were as heartbroken as I was. And like me, you all wondered what had happened to the old bench. Had they repurposed it somehow, turned it into a piece of art for someone’s home? Or, had they done something else? It took me about a month and I was thrown around to some different people before I got my answer. I have been sitting on this information for some time, but today I have decided to reveal the fate of the lovers bench. 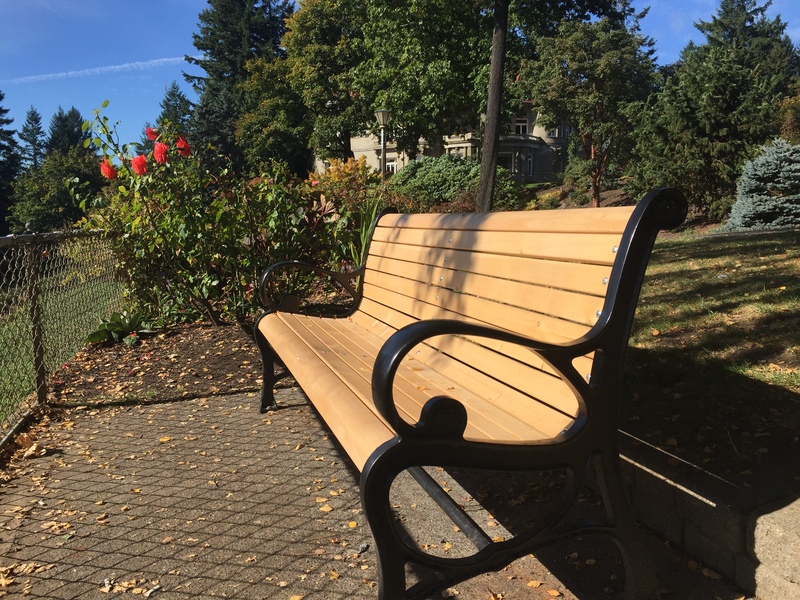 Due to a combination of overzealous carvings and wear n’ tear on the bench you mention, Portland Parks & Recreation had to replace the bench with a new one. We reused the metal parts that were salvageable. My colleague in maintenance just asked me to clarify. We actually re-installed the same, refurbished bench. Not a “new” bench. What you see up there is the same bench just with new boards, and we had the leg irons freshly powder coated. History lives on! Thanks for the info. We writers are a curious bunch, so we were dying to know. Did anyone keep the carved boards, do you know? Seems like they would make neat art decor. Perhaps they were too beat up and ended up in recycling though. The best guess is that the old boards were used for bark dust in our system. Had they been salvageable our guys would have repainted them and replaced ’em. So, there you have it, folks. 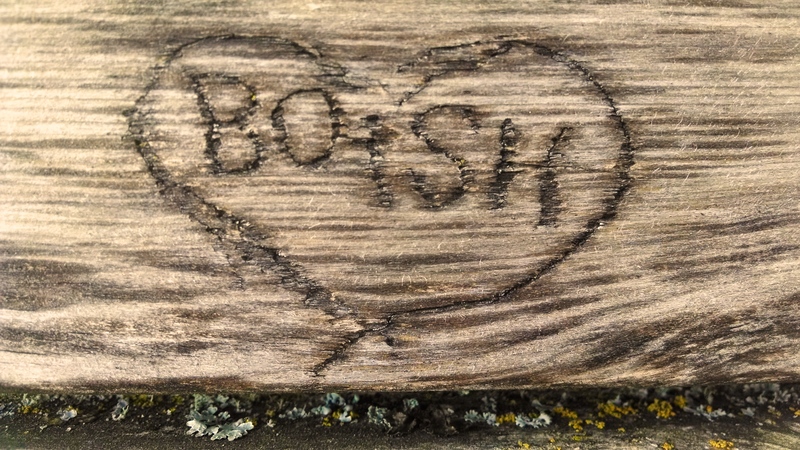 The bench is still there, but the boards of love carvings have become part of the earth. I haven’t seen the bench since last fall, but I know that new love stories have been created and carved. When I see it again, I will trace the carvings and smile. Because love doesn’t have an ending. It lives on. Oh, it’s too bad you can’t see the images. Glad my words sufficed though!